We along with our Solar Partner share the same Mission Statement as we are committed to bringing the affordably best in class solar power to all of Florida backed by exceptional service and support. We are passionately dedicated to making it easy for our customers to benefit from God’s Solar Power. ​Our goal is to provide you with a Solar Power system to establish your energy independence while simultaneously assisting all of us to do our part for a cleaner world and sustainable future. As part of our commitment to you, we'll make sure that we arrive to your property on time. Our flexible appointment scheduling and friendly office staff members make it easy to use our services, and we'll ensure that your questions are answered to your satisfaction. When you have an solar project in Tampa, Plant City, Central, Florida, that you need done right, having the team from Global Green Footprint, Inc.©™ take care of it can ensure that everything goes as smoothly as possible. We're professionals and committed to performing exceptional work that exceeds customer expectations. Our technicians offer comprehensive services, including providing price quotes before starting and making sure that everything is spotless before they leave. At Global Green Footprint, Inc.©™, we understand that each of our customers has different needs, so we offer highly personalized service packages. We're available to install solar energy systems at properties throughout the Greater Tampa area, and we'll be happy to provide you with a cost estimate for your job. Contact us today to find out how our services could benefit you. The most immediate effects a business or homeowner will see after purchasing and installing solar are lower utility bills. Once you hit the point where your solar panels have paid for themselves, it’s real savings straight to the bank after that. With utility rates climbing regularly, each year you’ll save more with solar than the year before. However, the long-term advantage of solar energy is energy independence. Once the upfront costs for the system are paid, you no longer need to worry about the availability or price of energy as long as the system is running - you are your own energy provider. In some states and regions, utilities have net metering programs in place that allow you to sell any excess power your system produces back to them. 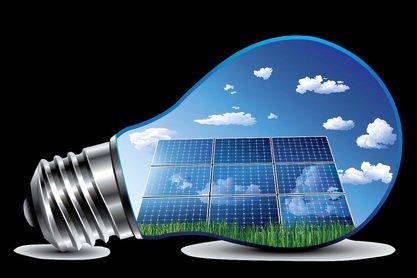 With net metering, whenever the solar system is creating more power than you actually can use, it will flow back into the grid and you may receive a credit for the energy your system is pushing onto the grid. This is especially beneficial in situations where power generation does not align with the times of demand. For example, in the middle of the day when the sun is highest and generating the most solar power, household demand is often lowest, so you would still be putting your excess power to use. Buying a home with solar panels directly translates into lower electricity costs, which can be a benefit if you're looking to sell your house. Just like homes in preferred school districts or homes with good Home Energy Ratings, solar panels may increase a home’s value on the market. A study conducted by National Renewable Energy Laboratory (NREL) concluded that homes with solar panels sell 20% faster and for 17% more money than those without, and the ​U.S. Department of Energy’s (DOE) Lawrence Berkeley National Laboratory found that the sales price of the average home increased $20,000 with solar panels. The exact numbers vary from property to property and installation to installation, but recent research shows that "home buyers consistently have been willing to pay more for homes with host-owned solar photovoltaic (PV) energy systems--averaging about $4.5 per watt of PV installed--across various states, housing and PV markets, and home types. This equates to a premium of about $17,500 for a typical PV system," according to another study by the Berkeley Lab. The property value advantages of solar energy only increase as you scale up, and as electricity prices go up (as they most certainly will), it's likely that the value of a solar installation will rise as well. Federal, state, and local governments often offer lucrative tax credits, rebates, and other incentives to encourage homeowners to switch to renewable energy. The federal government allows you to deduct a percentage% of your solar energy system costs off your federal taxes through the federal investment tax credit (ITC). Other incentives vary widely by region, and will be determined by local legislation and utility regulations. You can find a full list of incentive programs available in your area at the Database of State Incentives for Renewables & Efficiency (DSIRE). These incentives can dramatically lower the cost of a solar energy purchase and can often make solar power less expensive than power from the utility company. Help potential customers crunch the numbers to see how available tax credits and rebates will affect the final cost of their solar system. Modern solar systems are built to withstand normal and seasonal environmental conditions, and a high-quality system will require little to no maintenance. Operations & Maintenance preventative routines mostly defined by inspections, both periodic and after significant events such as storms. Owners of residential and small-scale commercial installations often can perform these inspections themselves. These low-maintenance high-reliability systems mean that all homeowners need to do is sit back and enjoy their solar savings without needing to worry about system failures or weather-related damage, and will ensure your customer's peace of mind for years to come. This is the most obvious benefit of installing solar panels, but it's worth mentioning again. While in use, solar panels create absolutely no waste or emissions. Unlike fossil fuel power plants, they produce clean renewable energy from an energy source that requires no excavation, transportation, or combustion. It’s a simpler, cheaper, cleaner, and all-around better energy solution. And, of course, solar grants energy independence, since sunshine can't be bought or monopolized and is available everywhere, free of charge, for everyone.